Shannon Johnson, 24, will be arraigned at First District Court in Hempstead today. NCPD reports the arrest of Shannon Johnson of West Hempstead, 24, for DWI that occurred on Wednesday, July 5, in Inwood. 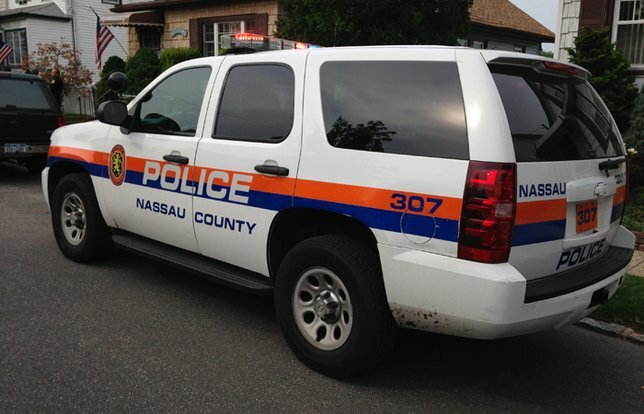 Inwood, NY - July 6, 2017 - The Nassau County Police Department reports the arrest of a West Hempstead female for Driving While Intoxicated that occurred on Wednesday, July 05, 2017 at 6:23 am in Inwood. According to Fourth Precinct officers, defendant Shannon Johnson, 24, was driving north east on Sheridan Boulevard in a 2017 Ford Fiesta when she passed a steady red traffic signal, collided into a 2001 Lincoln Navigator (travelling east on Bayview Avenue) and then into the front steps of a restaurant (112 Sheridan Blvd). After an investigation it was determined that the defendant was driving while intoxicated. The defendant and the 18 year old male driver of the Lincoln Navigator were transported to a local hospital for treatment of their minor injuries. There were no reported injuries inside the restaurant. Defendant Johnson is being charged with Driving While Intoxicated. She will be arraigned on Thursday, July 6, 2017 at First District Court, Hempstead. Subject: LongIsland.com - Your Name sent you Article details of "West Hempstead Woman Accused of DWI After Running Red Light, Crashing into Restaurant"